I have boxes and boxes of crankbaits sitting at the ready that are just dying to get wet. Why crankbaits you might ask? Well these are probably the most versatile bait that an angler can have. They are commonly associated with Bass fishing, but I have yet to find a species of fish that you can’t catch on a crankbait. Simple in design, yet effective in presentation these baits come in many shapes and sizes and it pays to have a good selection of these baitfish imitators. As I mentioned earlier I have boxes upon boxes of crankbaits that vary in size, color, profile, and even retrieve style. You can never have too many in my opinion, although my wife would beg to differ. These baits are my “go-to” options when chasing several species. Bass, Walleye, and Salmon are probably the top three that fit the bill. In fact the same bait can often be used to catch all three. You just never know what you might tie into while trolling or casting a crankbait. To define a crankbait could take pages and pages of written material, however if I was to sum it up I would have to say that a crankbait is as simple as a bait fish shaped hard bait. This is pretty vague, but I feel that it is more of a personal preference as to what you feel the proper definition of this style of bait should be. I tend to put crankbaits into three different categories. The lipped short body, the lipped long body, and the lipless are the varieties that are the easiest to define. They all serve their purpose, but still all fit into the crankbait category. In the spring you will always find a lipless crankbait tied onto a couple rods in the boat while I am chasing Bass as they move from their wintering holes to the spawning bays. These baits allow me to cover water quickly and to search all levels of the water column to see where these fish might be most active. Using a lipless bait I can work the entire water column and even induce reaction strikes as this noisy bait passes right by a lethargic Bass. The lipless baits typically sink and will run at the depths that you allow them to. You can even vary your retrieves on them to include a fast, slow or even yo-yo type retrieve. These lipless wonders have caught just about every species I have fished for. Walleye, Bass, Salmon, and trout have all fallen victim to a lipless crankbait. The possibilities with these baits are endless and it is probably one of the most versatile crankbaits that I have in my box. For walleye and trout I will switch over to a longer profile crankbait that has a bit of a different wobble to it. These tend to have a slow motion style movement and tend to fish a bit differently than their shorter counterparts. 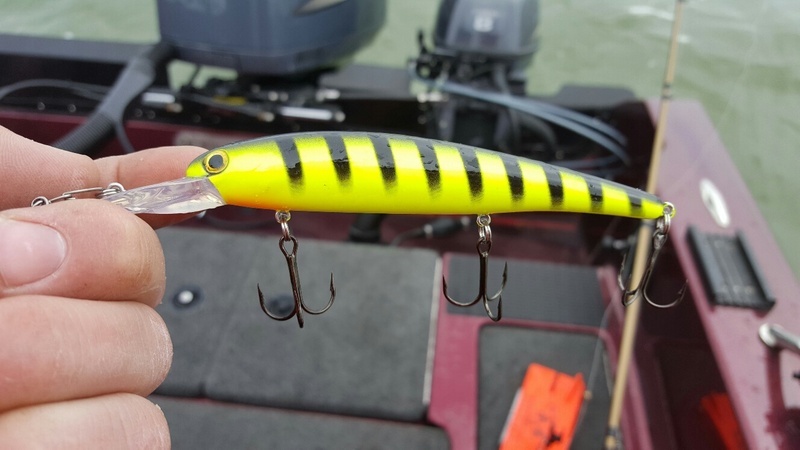 Crankbaits like the Bandit Deep walleye or the Smithwick Perfect 10s are top on my list. Although I will cast these baits on many occasions you will mostly find them being trolled behind planer boards when attached to my rods. Their body shape and weights don’t allow them to be casted as well as other baits and I find trolling better suits them. Unlike lipless baits the long bodied crankbaits are not negatively affected by speed. They will tolerate many different retrieves or trolling speeds and often times this will work greatly to my advantage. Being able to troll these with other baits is an advantage when you are searching for a pattern to get fish to bite. Last but not least are my favorite crankbaits to fish. These would be your common short bodied lipped baits. These would be your stereotypical crankbaits. They have lips that vary in size to change the depths that they will dive. My favorite has to be the SPRO Fat Pappa crankbait. These are designed for bass, yet I have caught many other species on these type of baits as well. Having a medium sized lip allows the bait to dive between 8 and 12feet down. 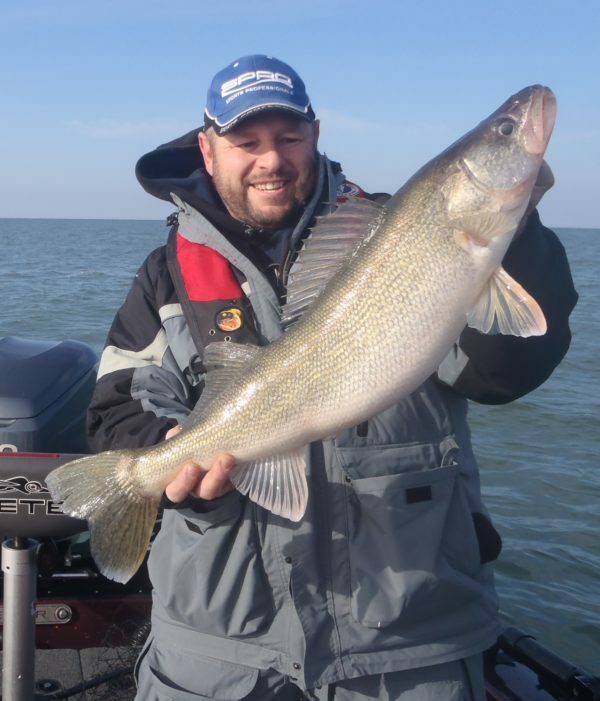 The main objective is to cover a lot of water to optimize your time while trying to locate fish. The short bodied baits are typically reserved to my bass fishing and they have put fish after fish in the boat when other baits are not even getting a second look. They elicit a reaction strike as well as a feeding reaction. I am, by no means, telling anyone what they should or should not use when fishing, but you would be doing yourself a dis-service if you do not have at least a couple different crankbaits in your bag of tricks. Being versatile, the bait allows the angler to adapt to the conditions and still be able to catch fish. Don’t forget on your next outing to tie on a crankbait and give it a shot. The options are endless and you will be amazed at the presentations you will be able to make with this simple and common bait.